The Roofing Cladding & Insulation Show (RCI), returns to Coventry on 27th – 28th March 2019 and is now open for free ticket registration. The 2019 show will see the introduction of a new thought-leadership conference stream, featuring speakers from a wide variety of industry stake-holders making the RCI Show the voice of the industry. The new RCI Show will comprise three key elements: keynote conference programme from industry leaders, practical CPD seminars and an exhibition of leading suppliers. The full conference programme will be announced shortly. Visitors come to the RCI Show to source new supply chain partners, build new relationships and learn from expert speakers. The 2019 show brings together even more suppliers, manufacturers and industry supporting organisations alongside the conference and CPD seminar theatres. 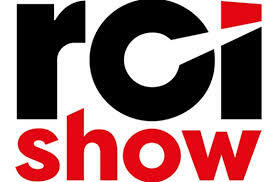 The RCI Show will be the leading destination for anyone looking for construction products and services including rainwater systems, plant & tools, the latest materials, safety equipment and green roofs plus much more. Many exhibitors run live demonstrations of tools and systems on their stands. Alongside the main exhibition will be a number of feature exhibits to inspire and enthuse visitors. Features include a demo area hosted by Metal Solutions, the UK’s leading fabricator of traditional metal roofing systems, cladding systems and components. The Builders Merchants Federation (BMF) Pavilion will host member companies providing services and support to UK contractors and the Welwyn Tool Group will be holding live demonstrations of hot welding equipment. The RCI Show is delivered in association with RCI and Building Products magazines and is supported by headline sponsor, Easy-Trim.